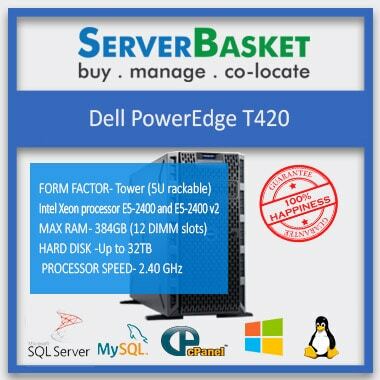 Shop online DELL PowerEdge R230 Rack Server which supports 64GB DDR3 Unbuffered memory at the best discount offer price and acquires instant Server shipping and 3 years seller warranty from Server Basket. 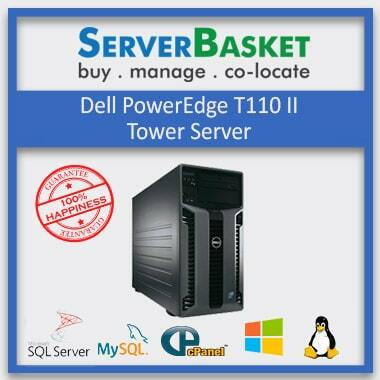 We also offer discounts for all dell servers to the users as high as 30%, with immediate delivery service. All our servers come with high-performance capabilities and high scalability. The Dell PowerEdge R230 Rack Server is 1U Rack Server with Intel Xeon 4 core Processor which has good scalability and consists of 4 DIMMs slots and 4LFF 3.5″ Hard drives, which are very fast for transferring data. The Dell Poweredge R230 Rack server supports Intel Xeon E3-1200 V6 processor Family includes Intel Xeon E3-1280 v6, E3-1270 v6, E3- 1240 v6 Processors and Intel Core i3 ,Intel Platinum processors. These Intel Xeon processors enable the Rack 1U server to perform with the Best Scalability and the best response times like never before. Enjoy higher data throughput, and processing power with the help of the high performance Dell R230 Intel Xeon E3-1200 v6 processor. Dell R230 1U Rack server achieves higher scalability through 4 DIMM Slots of Memory to upto 64 GB maximum, & with upto 4 x 3.5`` Hard Drives that has Maximum Storage Capacity of 16 TB and a PERC9 RAID controller . Avail this at Affordable and cheap prices found nowhere else. 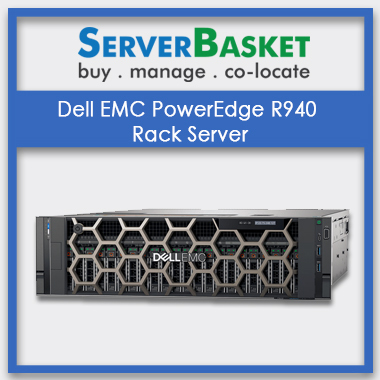 The Dell Poweredge R230 1U entry Rack server achieves greater memory performance with expandable memory upto 64 GB. It consists of DDR4 RAM memory which is much faster with its data transfer rates than its predecessor DDR4. 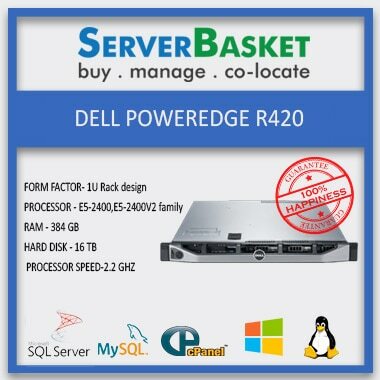 So, stop thinking and buy dell R230 server with different memory options that achieve higher performance , scalability and greater business workloads. Suited for greater expandability and scalability, the memory is available at affordable rates. 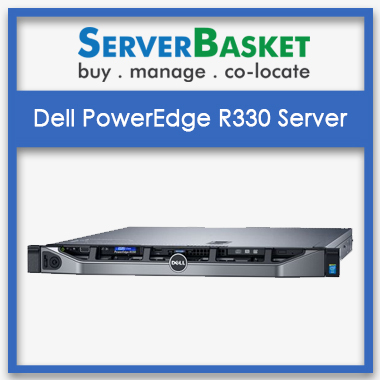 Avail an seller service warranty of three years from the time of ordering the Dell R230 Server product. We cover all Dell PowerEdge R230 Server repair services and exchange if required within this period. So gain the maximum benefits including discounts and instant delivery. The storage options are vast with this Dell R230 Server as they perform at high-level storage units in the various levels of the server. Dell PowerEdge R230 Server encompasses of SAS, SATA, and SSD Multiple R430 chassis. The Server is adaptable and can change in any workload conditions and expandable for virtualization and clustering. We guarantee the lowest online price available for server via the Internet for every booking made through ServerBasket. If you wish to book a server via our website but have found a price on the Internet lower than the price we listed, we’ll surely approve the more favorable price you found. We offer immediate home delivery services to all our customers on all products. The delivery is done within three working days, to all the major cities like Kolkata, Hyderabad Delhi, Pune, Jaipur, Mumbai etc , whether rural or urban across INDIA. Server Basket aims at winning customers' trust in the long run and has achieved the same since its inception by providing best quality servers at the best and affordable prices. It also offers 24X7 support through highly experienced and talented workforce. (R230 comes with in-built CABLED HADD)"
I bought Rack Server from here .The specifications are exactly suited for my requirements. Am very happy with this purchase. Satisfied buying this server as it supports 13TB Memory Storage. I purchased this server I checked for the warranty period and am happy with the warranty offered by this server. I bought new DellPoweredge R230 Server and found that my Memory card was missing.I was quite unhappy with that.However when I called support they apologized and sent me the part immediately. Dell R230 server is 1u rack server. Which type of proccesors are used in R230 server? Does Dell Poweredge R230 server support for Linux Operating System? How much memory does Poweredge R230 server required? R230 server supports Maximum of 64GB RAM. Up to how much storage does this Dell R230 server capable? Storage capable of Dell R230 server is up to 4 drives(3.5 inch) SATA 1X1TBSATA (3.5inch) 7.2k RPM. 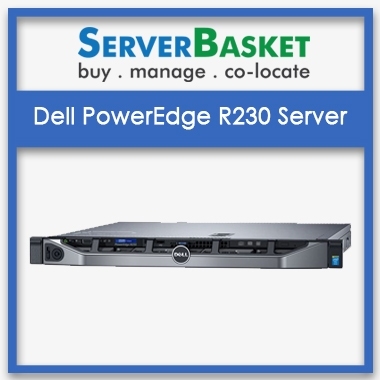 What type availabilities are present for R230 Dell Poweredge server? Technical specs of Dell R230 server is Hard disk, RAM, Chipset, Processor, Operating system, Cache Speed. Which series chipset does R230 Dell server consist of? Chipset used by the R230 server is Intel C236. Upto how many PCIe slots supports to Dell Poweredge R230 server? PCI slots supported by the Dell R230 server are 2 x PCIe 3.0 slots: x16 slot, full-height (1×8 3.0)+ x8 slot, low-profile (1×4 3.0). Which RAID configuration level is recommended for Poweredge R230 server? RAID configuration recommended for R230 server is PERC S130, PERC H330, PERC H730, PERC H830. 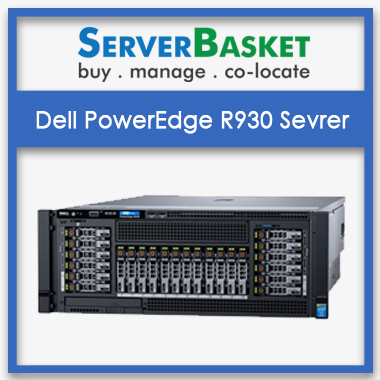 Which network controller does R230 dell poweredge server manage? Dell R230 server manage Broadcom® 5720 network. Product can be delivered within 2-3 working days without any delay. For How many years does this warranty provided for Poweredge dell R230 server? 3 years onsight warranty is provided for Dell PowerEdge R230 server. How much power does Dell R230 Poweredge server requires? Dell R230 server require 250W cabled PSU. If any issue is raised then how will you support? We are available through Email, 24/7 tech support, Live chat, Telephone.